Country living with great location. Minutes to Roanoke. Easy commute to Ft Wayne. This home has been in the same family for over 40 years. 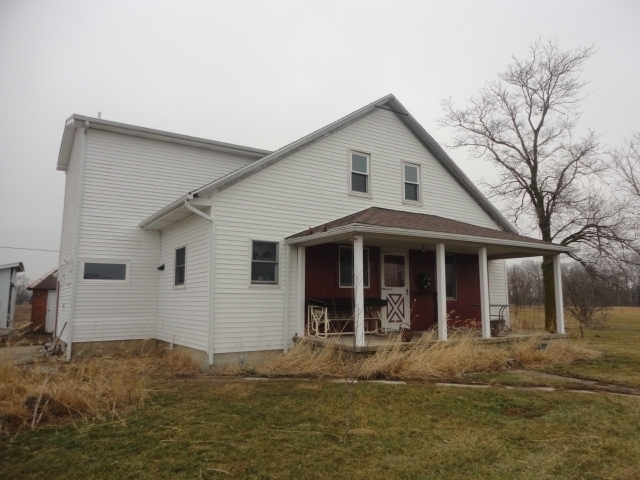 Large 2500 sq foot farm house with updated kitchen and baths. spacious rooms thru out this home. You will love the natural walnut woodwork and staircase. Hardwood floors downstairs under the carpet. Painted hardwood upstairs under the carpet. Large eat in kitchen. Great view/sunny home office or second living area. Home has been maintained thru out the years. Economical utilities. Put your personal style in this farm house with 3 outbuildings setting on 1.3 acres with great location.